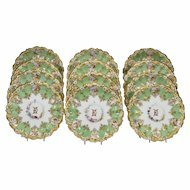 This is a set of 12 extraordinary 19th Century Aesthetic Movement dessert size cabinet plates, made by Brownfield's for Tiffany's, New York. 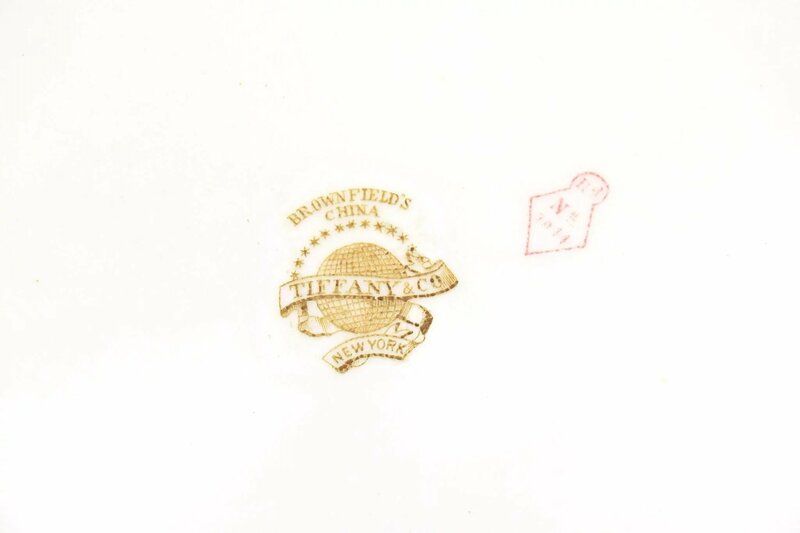 These beautiful works of art speak for themselves in their iconic subject matter. 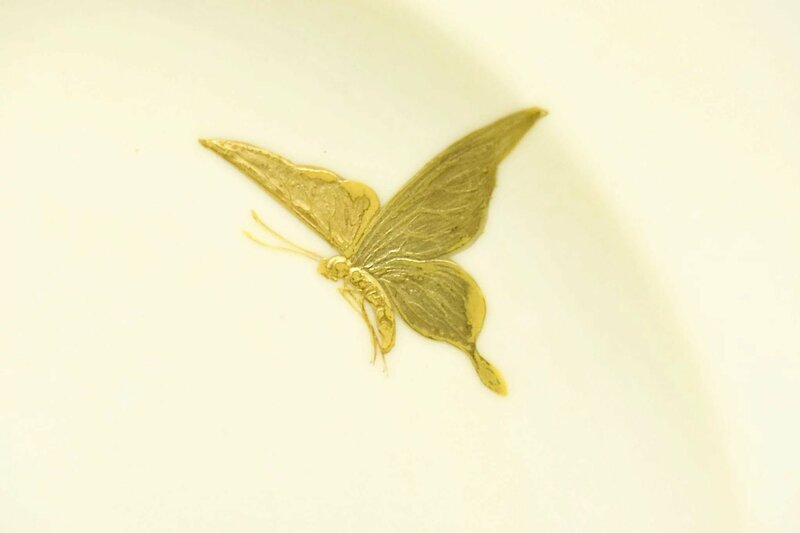 Each one is uniquely hand painted with profusely applied raised paste gold in 2 colors. 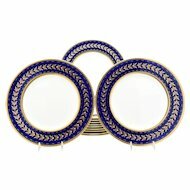 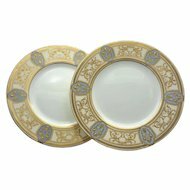 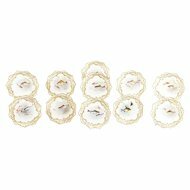 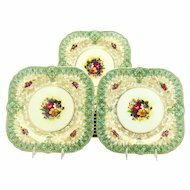 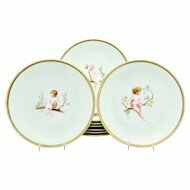 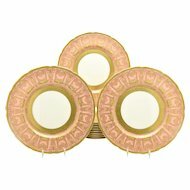 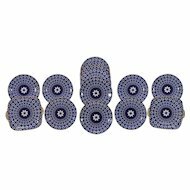 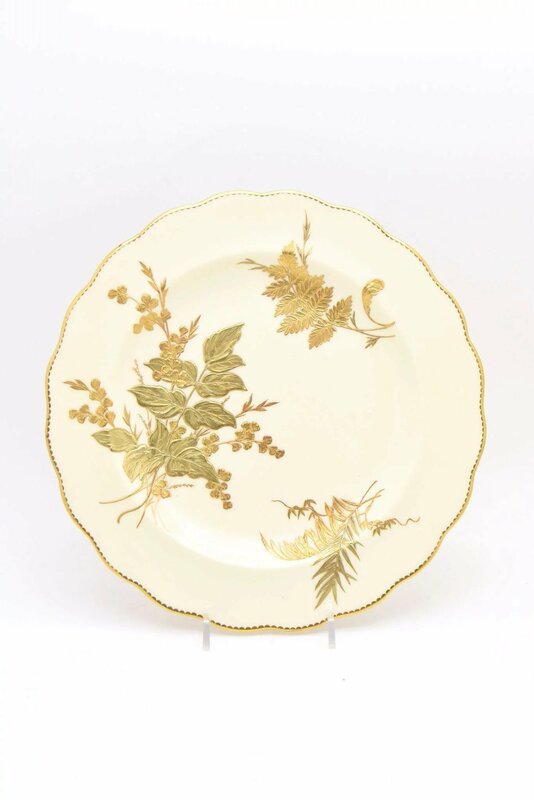 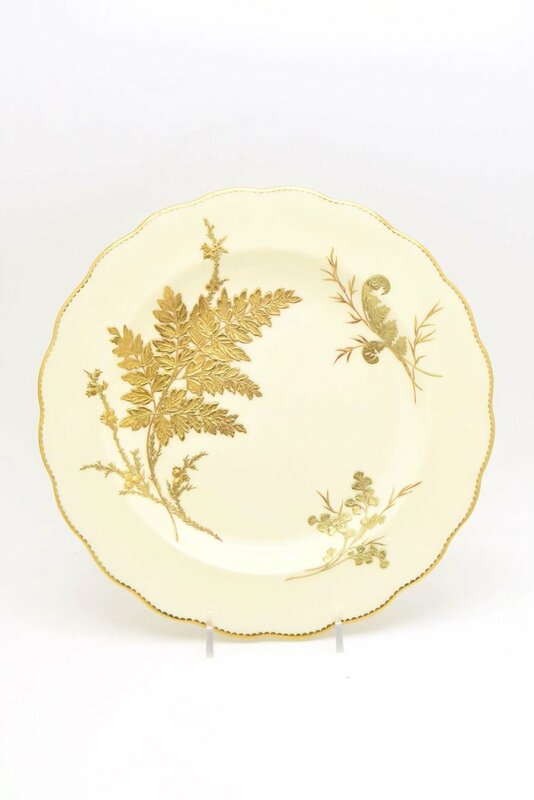 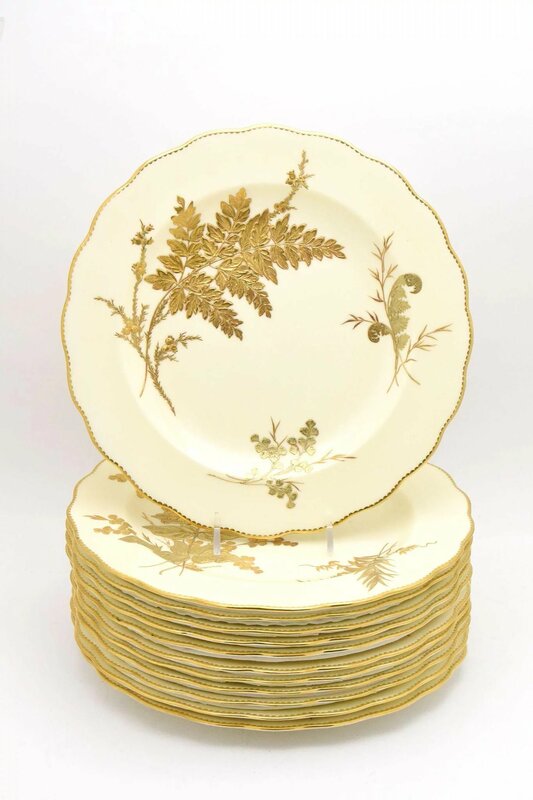 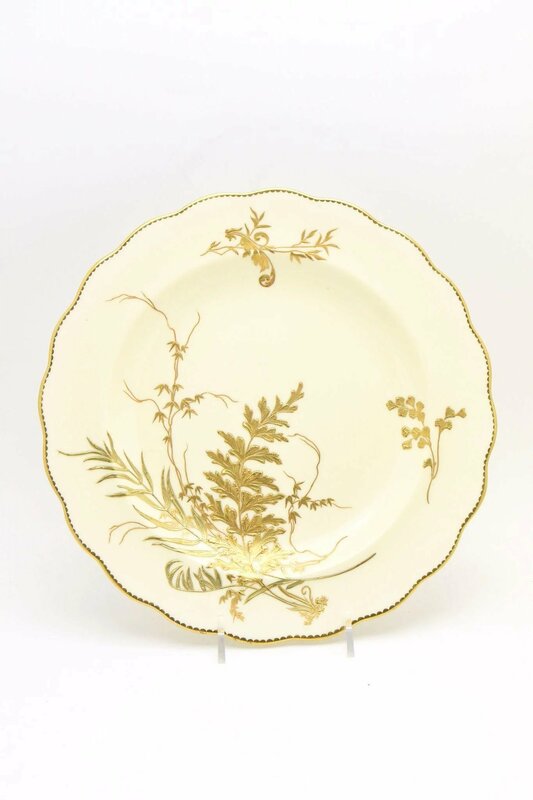 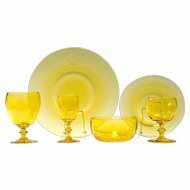 The plates feature fern and butterfly specimens on an ivory ground with softly shaped rims, trimmed in gold. 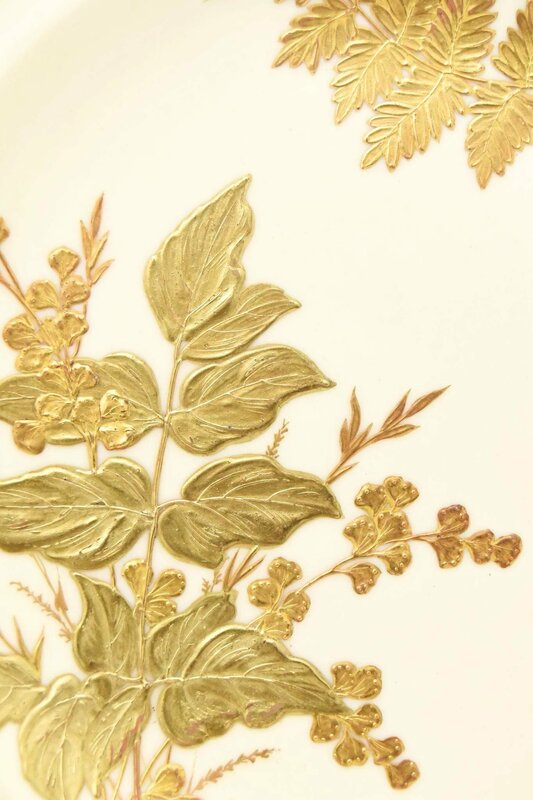 The subjects are placed off-center in random patterns, adding to their virtuosity and uniqueness. 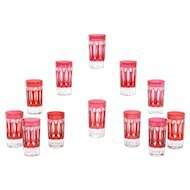 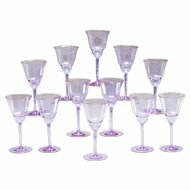 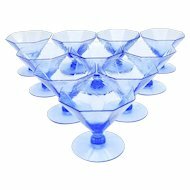 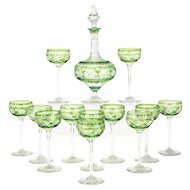 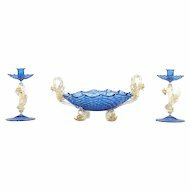 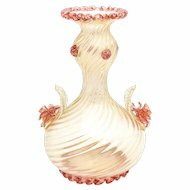 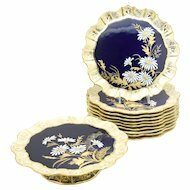 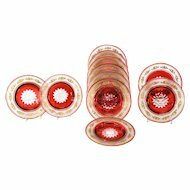 The condition is superb and these would make an incredible display or set an opulent table.